View More In Egg Poachers. 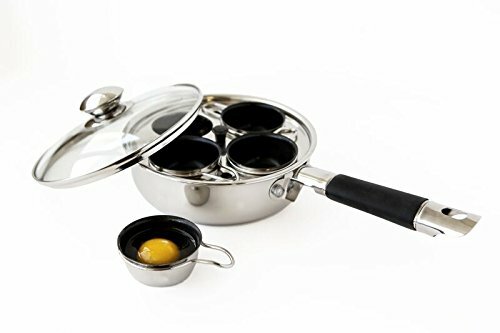 This 18/10 stainless steel egg poacher with non-stick coated egg cups, is perfect for preparing that Sunday brunch. Invite your friends and family over for perfectly cooked eggs in all styles. Features stay cool handle and knob and a vented glass lid for easy monitoring. All in one 7.5" lidded frypan.